First flight was on August 31st, 1947 (test pilot N. Volodin). In August 1948 An-2 entered Aeroflot service. Aircraft was designed as agricultural aircraft, but soon it became multi-purpose thanks to its reliability and performance and was built in 18 variants. Serial production in Soviet Union ended in 1960 after more than 5000 copies were built. 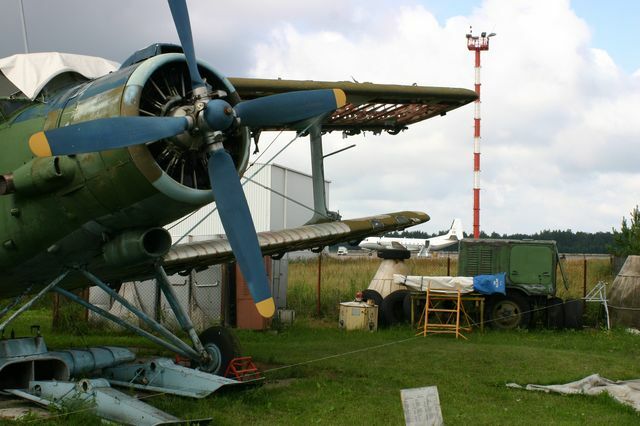 And the same year Polish aircraft producing corporation WSK – Mielec began to produce this type under license. There were built more than 12000 copies (10440 of them were bought by the USSR) till 1992. China also bought the license to produce this type and was producing them till 1995 (950 copies were built) under designation Y-5. 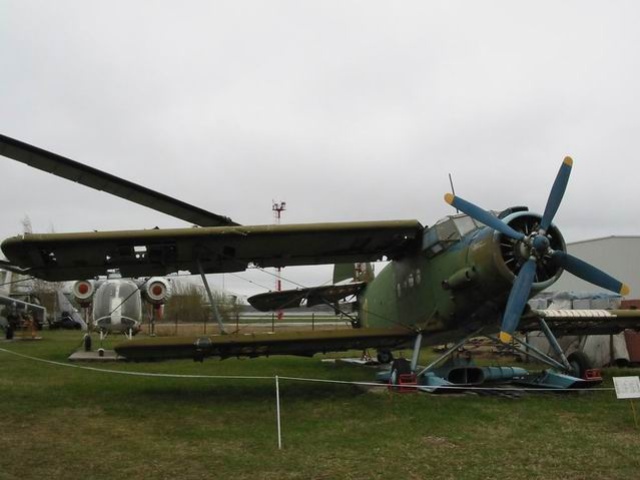 Antonov An-2 is the sole aircraft in the world which was produced more than 45 years. Nowadays Antonov biplanes are flying all over the world. 26 countries bought this type for their air forces and civil organizations. Air forces widely use this aircraft, despite of its archaic look, as transport, liaison and paratrooper training. An-2 is very popular among parachute jumpers. Museum’s aircraft was towed by Viktor Talpa from Nakotne. It was in very bad condition, almost completely disassembled.